Get ready to sky-watch on Aug 12! Re: Get ready to sky-watch on Aug 12! 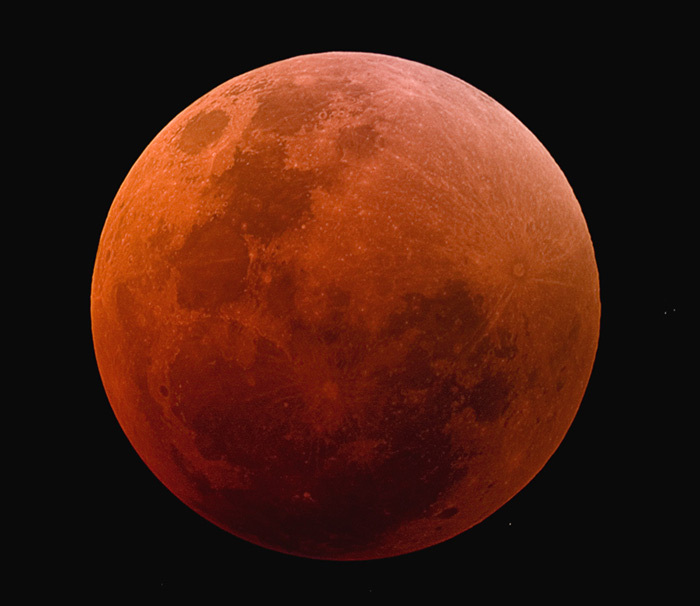 There's a total lunar eclipse coming up on the 28th August! This thread is still valid for 2009. See http://science.nasa.gov/headlines/y2...htm?list953548. The Moon is more troublesome than it was 2 years ago. Cool. This might be something even I can see? Jube looked in earlier, she said she'll probably see it on her way to work. Here's a great link to the meteor showers. I really like visiting this earthsky site now and then. I never knew there were so many annual showers! I knew about the Perseids every year in Aug but not these others. OoOoOoOo... this does sound exciting!! I hope it doesn't rain that night. Will I be able to see a decent show in central New York? To everything there is a season, and a time to every purpose under heaven. Now Reading: Puzzles and my thesaurus! So long as you don't have a bunch of lights around you...ie street and house type lights.... then you should see several. It's best to go as far from city lights as possible. I've watched over the years and always see a few and have seen a couple spectacular ones. One skipped the atmosphere several times and I saw it just after the sun went down, so it was still light outside. But otherwise I'm staring at the north sky in peace and quiet and relaxing. Whether I see any or not it's a nice evening. And I've always been under the impression (till just the past couple of days) that they were visible from the 12 - 21 of Aug so always watched during that time frame. Well, it FINALLY dawned on me that there's one really good nite to see them and this year it's the 12th. So saying that I'm really hoping for clear skies that nite, but I'll continue to watch after that date as I have before and maybe even start a few days early. I've always seen some but now I realize why I've seen so few most of the time.....I'm watching on the totally wrong day! Have fun watching the skies!!! And as they say on Pern.......Clear Skies! Hans - I'm sure that anyone looking at the north skies can see them. We're going thru some sort of debris, cometary or what I can't remember, but most everyone can see them I'd say. So give it a try.....oh and that will be AUG 11 evening that you need to watch because they say the best show starts after midnite which is, of course, Aug 12. So it's the evening of the 11th that you want to really watch the skies. But like I said above we'll have them for a few days just in smaller quantities. So if it is raining wait till it's clear and try again. Or even wait till the weekend after or even try the weekend before and look for them. The moon is supposed to cause some issues because it's so big and bright this year too. The article on earthsky gives a lot of good info about them. And if StevenB has any more info to add I'm sure he will. His is going to be better than mine, I'm sure! Ok, so went and read StevenB's link he posted about the Perseids.....great info! I was right it is cometary debris and watching early the evening of the 11th will be the best show, but they're starting even now and will continue for a while....just not as frequent as on the 11th/12th evening/morning. So start now and have fun! I llve out in the country so I should be all set. I just wasn't sure if you could only see the show from certain parts of the world. Thanks!! Had a look 2 nights ago but it was very cloudy and last night, the moon shone so bright that it had a "halo" around it. Pity I didn't have a camera or some paint to draw it properly when I got home this morning but....them's the breaks. Only one more night shift then maybe...just maybe...next week I'll look "up" properly after working afternoon shift. Jube, you'll be lucky to see much as yet. Just be sure to be looking the evening of the 11th. That's the optimum time to see them. I hope you get to see a few good ones during your drive! That would help make the trip so much better. POSSIBLE PERSEID METEOR OUTBURST: This year's Perseid meteor shower could be even better than usual. According to NASA's Meteoroid Environment Office, a filament of comet dust has drifted across Earth's path and when Earth passes through it, sometime between 0800 and 0900 UT (1 - 2 am PDT) on August 12th, the Perseid meteor rate could surge to twice its normal value. This is the first astronomical event the new hubby and I will get to see together. EVEN better is the peak viewing time actually falls on his only night free. We're planning on going out seeing how much activity there is and if there's a lot go wake up the kid to come view for a bit. SHE has to go to school. Thanks for the info StevenB! I'm just a person who likes to look at stuff in the sky and know nothing much, but I saved the spaceweather page so I can check it out now and then. Looks like some interesting things get posted there and even tho I won't know all the terms and such it should still be fun checking it out. I love the pictures of the aurora that are posted! WOW! Kat- I do hope that you get to enjoy the Perseids with the hubby and that there are the anticipated 200 per hour! That will be fun! Hope the kiddo gets to see them too! Even tho she does have to get up for school. But she'll have something neat to talk about then won't she? Thanks StevenB for the information, I hope it well turn out OK! I well be too sleepy to watch it, and Dan J and my family well be looking after me. So if someone can get images to post here that would be great for a bunch of sky watchers here. Its day I hope that my eye problem is fixed while I am sleeping! GinnyStar and a bunch of non MoMer's who are sky watchers too. Actually my workplace is within walking distance so I can have my head up in the clouds if I want to and my hoofers haven't tripped me over yet. Saw some of the best night skies on my way to and from work at times. 2 nights ago, the moon had a halo around it and geez, it was brilliant to see! Lucky you that you can walk!!! I love the moon picture!!! That's one of the most beautiful things I've ever seen. Thanks so much for posting it. Thanks, StevenB. Rats! Looks like it'll be too late for the the UK; lucky USA! By-the-by, any professional tips for capturing the show on camera? The long exposures and wide views will increase the chances of capturing one or more meteors during the exposure. (An all night exposure with a 180 degree fish eye will record everything that happens .) I guess the problem is similar to capturing lightning during a thunderstorm (except the subject is slightly fainter and even more elusive). Unfortunately, to allow for very long exposures you need a really clear and dark site; otherwise you'll be saturated by the glow from the street lights and clouds. A film camera with a mechanical shutter would let you take an exposure hours long without using up its battery; but with a digital camera you can keep trying with shorter exposures and throw away the exposures where nothing happens. To get the radiant effect you will need to include the constellation of Perseus in the field of view. The most difficult thing to judge is the aperture setting. In (untracked) astronomical photography the usual rule of "long exposure with narrow aperture is equivalent to short exposure with wide aperture" doesn't work. The exposure time determines the length of the star trails on the photograph and the aperture setting determines the thickness of the star trails and how faint you can go. If the meteors are faint you'll need a wide aperture even if you have a long exposure. I would experiment by trail and error - a narrow aperture might not detect the meteors, but a wide aperture might swamp the meteors with too many star trails. With a digital camera you also have the ISO setting to play with, but if you need a very long exposure and there is a danger of being swamped by background light I would use the minimum setting (although a high setting would let you make some short test exposures). Well, Jube I like the way you can deal with things while walking. I think that's awesome. I have a 20 min drive which does pretty much the same thing. But I don't get to see all the wonderful things you do, just once in a while. Image and a nice pic. Dan J. and he tried to show me the moon. Covered with a halo last week, hard to see with all the city lights around here. My dad could take a look home, at our small airport for it gives some great views. Outside of having some type of problem with his small telescope. Something to do with the finder "Shrug shoulders" here. That is the day of my eye operation and he well be here to suport me. And keep Dan J. company too. Along with help us. Becky, that's one of the great things about doing shiftwork, one tends to notice these type of things sometimes. There are pitfalls along the way - positive and negative ones but they seem to balance each other out. And it helps pay the bills etc as well. It was 90% cloudy in Edinburgh last night too . It was much better this morning, but I was asleep. Farclas, did you see anything before dawn? Don't despair Becky. This meteor shower lasts longer than just one night. We missed the absolute peak, but there's a chance of some more displays tonight (the 12th). It's sunny now in Edinburgh - I hope it stays that way. I'm going to a show at the festival tonight, but we'll be watching the skies on the way home. I had no luck. Had the camera on the tripod from 0200 to 0330 as per your hints. Mostly 15" or 30". But there were few holes in the (high altitude?) haze cloud cover and I captured nothing. Saw nothing. Light pollution was hell! Ah well, that's the way it goes. I'll have another try tonight. Lots of rainclouds coming in from England over my country. Haven't got much hope of seeing anything. Raining here now actually. Forecast is only better for Saturday. Sorry about that, but I admire your persistence. I took one look at the clouds last night and went to bed. If you want to get away from the Edinburgh light pollution I find Longniddry beach a useful place to go. The street lights run out when you get past Port Seton, and (if the weather behaves) there's a good view to the north over the Firth of Forth. The Moon will still cause problems if there is hazy cloud cover, so you might want to try some photographs before 10:15pm, when the Moon rises in the east. Perseus is in the north east, which means you'll be able to point your camera away from Edinburgh. Failing any astronomy pictures, you might get some good pictures of the lights from Fife shining on the Forth. Hans, I apologise on behalf of the UK for sending our horrible weather your way. Let's not over-estimate the persistence! It was a sequence of 10 minutes out, followed by 10 minutes with a mug of tea and trash television. A couple of times, the cloud cover was such that it was just a hit 'n' run to the back door! I did briefly contemplate the one-man tunnel tent and down bag for a trip to Soutra or the Lammermuir Hills above Gifford but - sod that - I'm now a creaky old man who likes his comfort and is not sufficiently motivated! I was up Arthur's Seat yesterday and it did occur that, if I could evade the late patrol by the park wardens, the east-north-east lea would cut out most of Edinburgh's light; I'd at least be above it. Don't know how much good that would do . . .
Can't help you here, it's too cloudy and we had rain earlier. I had better luck looking at the Google sign of the day then looking out at the night sky. Grumble, grumble, groan, groan. That's another possibility, and a good place to scan the skies and spot any of the meteors. For photography, though, you would still be below the "Aurora Edinburghensis" (i.e. the orange glow which lights up any clouds over Edinburgh). But at least from there you have the chance to take some evening photographs of Edinburgh, so your journey won't be wasted if the weather isn't good (which looks a distinct possibility at the moment). I did keep hoping the clouds would go away but nope, they stayed around last nite (I even looked outside when I woke up at 2am) and are still here this morning. It's actually trying to rain, but not succeeding very well. So since it's a no go on the rain the clouds might as well just pack up and go! I was hoping to see the really good show last nite but will keep hoping for clear skies within the next few days. I usually start watching for meteors, off and on, from around the 8th or so of Aug thru around the 21st. I read somewhere that that's the time we're in this comet debris each year. So I'll keep at it and maybe see some this year too. It's too bad that everyone seems to have cloudy weather this year. The skies where I live in New York were mostly clear, however as several sources predicted the brightness of the moon made it hard to see much. I thought I saw a couple at one point… but I honestly have no idea. Did anyone see the show? Some picture Farclas. Heavy zoom, but heavy tripod, too? Yeah. I saw this morning. I was looking forward to seeing them too. I love watching them. There were fairly clear skies in Edinburgh last night. I tried watching the sky from the Pleasance Courtyard after the show but didn't see anything (not surprising, as there are upward pointing search lights there). I tried again when I got home. In two 10 minutes sessions (at 10:45pm and 11:15pm) I managed to see one definite Perseid meteor in plain view and a second out of the corner of my eye. So there wasn't much of a show at that time over Edinburgh. Did anyone fair any better? The best view of the evening was the Moon rise. Farclas, your heavy zoom would take a good Moon rise picture. They say every cloud has a silver lining... well, not the clouds I saw yesterday!